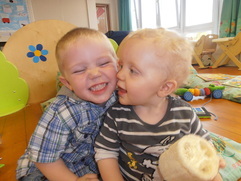 VIP Childcare Moray is an innovative and inspiring Child care & Development provider for Babies to Pre-school. We are a Social Enterprise and Registered Scottish Charity SCO38949. The way in which VIP Childcare is structured means that we can continue to invest in embracing new developments as well as continuously reviewing the environment and resources within the provision. In other words the structure ensures that the people who profit from the provision most of all are the children who we care for! To Develop and deliver a high quality childcare provision, designed to enhance each child’s full potential socially, emotionally, physically and educationally, by innovative practices and procedures.